The DeZir project is the first to have been led by Laurens van den Acker and marks the start of a sequence of concept cars that will provide an insight into Renault Design’s new vision for the future. 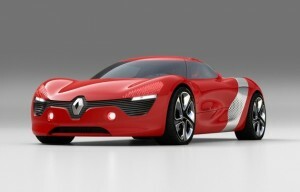 It also lays the foundations for the styling cues of Renault’s forthcoming vehicles. The public will get its first opportunity to see DeZir at the 2010 Paris Motor Show, 2-17 October 2010.